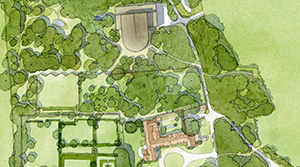 The Studios have completed the landscape design and landscape impact assessment for Grange Park Opera’s move to West Horsley Place within a new theatre set in the woods behind the historic country house. The annual festival will make use of the garden spaces and old orchard and host a cultural and creative activities within the grounds. 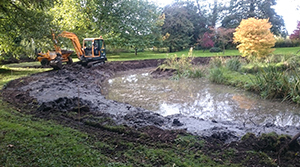 Work has started on the water garden at Timsbury. 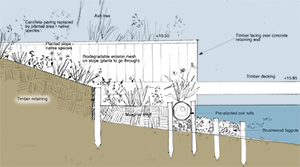 A stagnant weed-choked pond will be dredged and re-shaped to form the centrepiece for extensive beds of marginal and wetland plants. 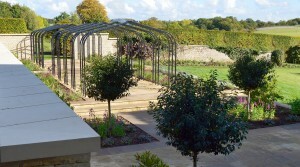 Enclosed by new Cotswold stone walls, a parking area has been re-modelled to become a stepped garden terrace with views over the lawns to the countryside beyond. A new arbour, aligned on the kitchen door, frames a narrow view between half-standard laurels to distant farmland. 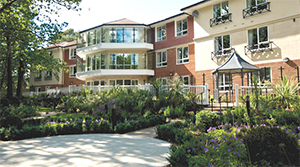 Planting of semi-mature trees and specimen woodland garden shrubs, has transformed the character of the main lawn. The Track to Eaval, North Uist, has been selected for the 2015 Prize Exhibition Royal Birmingham Society of Artists. 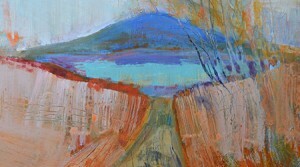 The painting will be hanging in the Brook Street gallery 7 May until 13 June. 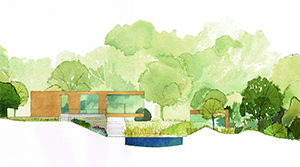 Permission has been granted for a stunning house in the grounds of the 25 acre woodland garden at Coles, near Privett in the South Downs. 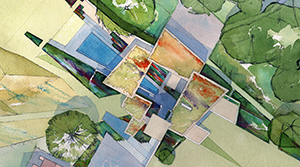 Architecture and landscape design, by AR Design Studio and Ibbotson Studios, evolved collaboratively for a design of harmonious composition integrated with function. 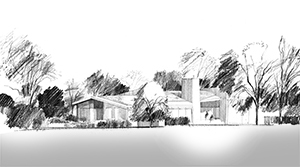 Planning permission has been secured for building an impressive principal new wing for a Listed country house in Hampshire. 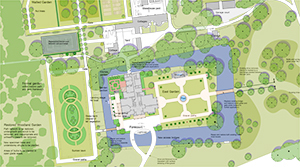 Ibbotson Studios provided the estate master plan, garden designs, landscape and visual impact assessment, and a tree protection strategy in support of the application.